Another hard blow comes to Montreal. After trading away their cap Max Pacioretty to the Vegas Golden Knights earlier this month, and having to deal with the long-term injury to key veteran defenseman Shea Weber, who won't return until December, there seems to be more bad news for the Habs. The Canadiens are now going to be without blue liner David Schlemko for about six weeks after he suffered a knee injury during Wednesday night’s 5-3 pre-season loss to the Toronto Maple Leafs at the Bell Centre. 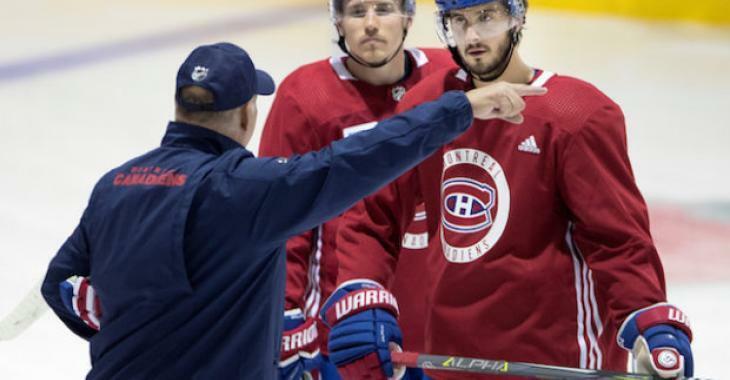 Schlemko missed the first 25 games last season after suffering a broken hand, which eventually required surgery, on the first day of training camp. Clearly the veteran player has no luck when it comes to training camp and exhibition games. The Canadiens acquired the 31-year-old defenseman from Vegas last summer after the Golden Knights claimed him from the San Jose Sharks in the NHL expansion draft. Schlemko only played 37 games with the Canadiens last season, recording a goal and five points and a plus-3. We guess some people can see some positive in today's breaking news report from the Habs. Schlemko's absence, combined with that of Weber, will likely open the door for Simon Despres to secure a permanent deal from the team. The 27-year-old defender hopes to reclaim a career that was interrupted by concussions. He is in camp on a professional tryout, which means he’s fighting for a contract and could benefit from Schlemko's injury. Depres won a Memorial Cup with the Saint John Sea Dogs and won a silver medal at the world juniors. He was the top defenceman in the QMJHL and was drafted in the first round, 30th overall, by the Pittsburgh Penguins back in 2009.